September 27, 2018: Delegation of the Trade & Economy Department of the embassy of Spain visited the city of Taganrog. 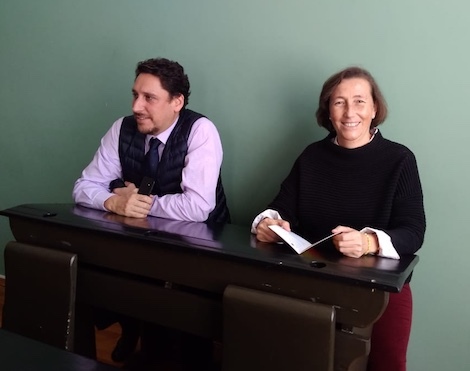 The Spanish business mission to Rostov Oblast was headed by Mrs. Alicia Varela Donoso, Councillor for Economy and Commerce and Mr. David Feijoo, Chief of the Trade & Economy Department at the Embassy of the Kingdom of Spain. The purpose of this business mission was to encourage trade and economic partnership between Spain and Rostov Oblast. During the tour of the city, the guests from Spain visited the memorial museum "The Birth House of Anton Chekhov", the memorial museum "The Chekhov Gymnasium" and the monument to Peter the Great.